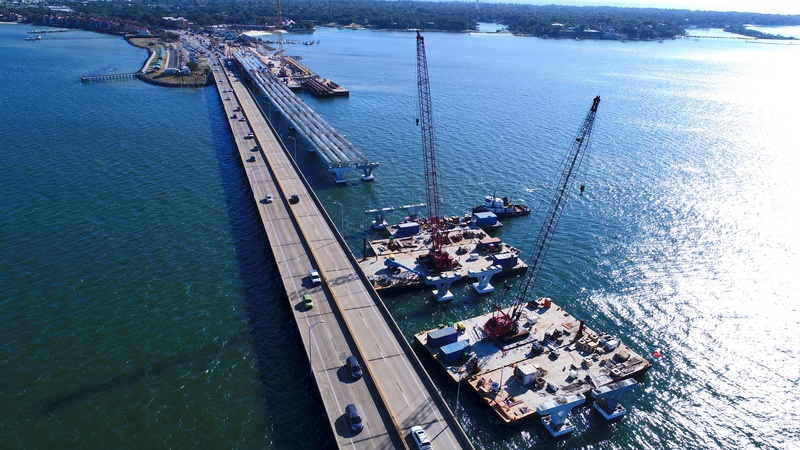 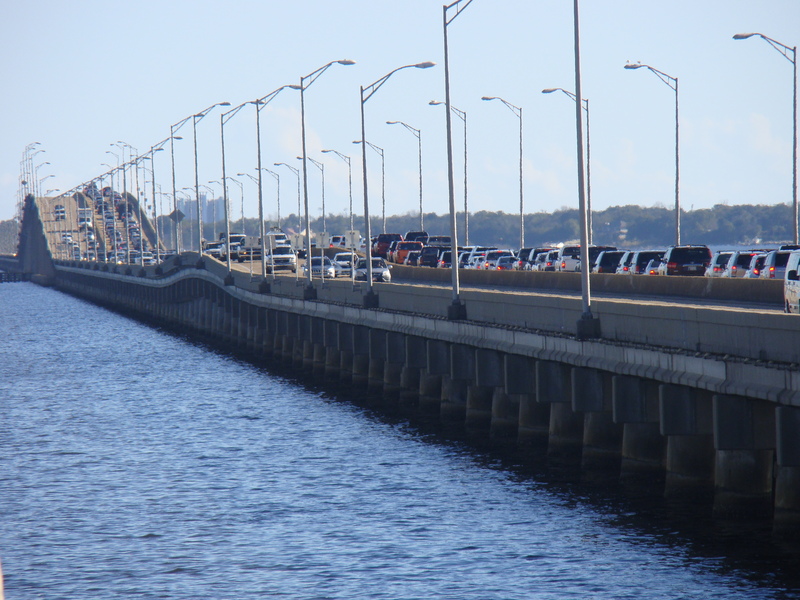 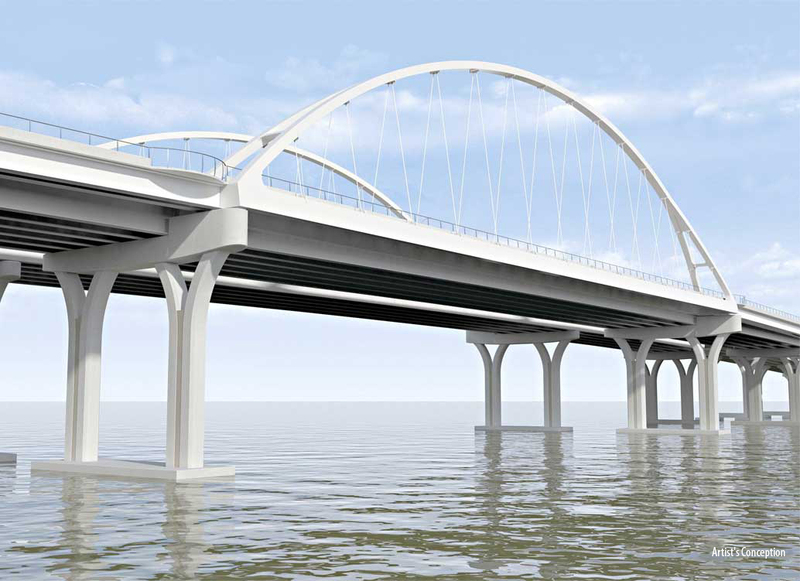 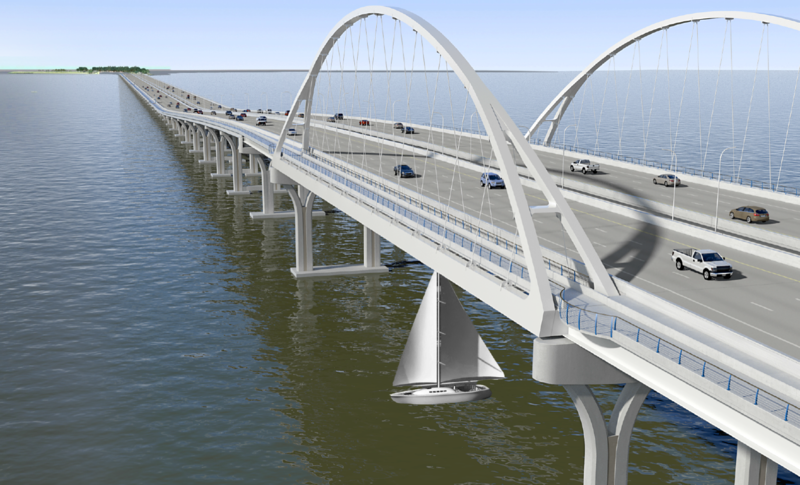 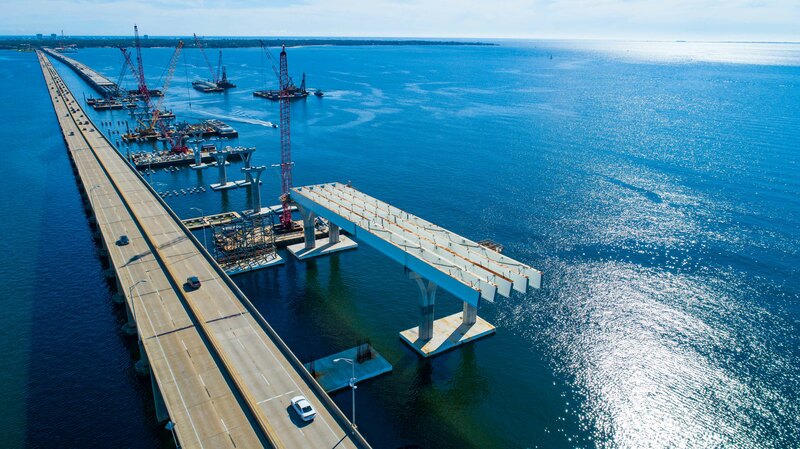 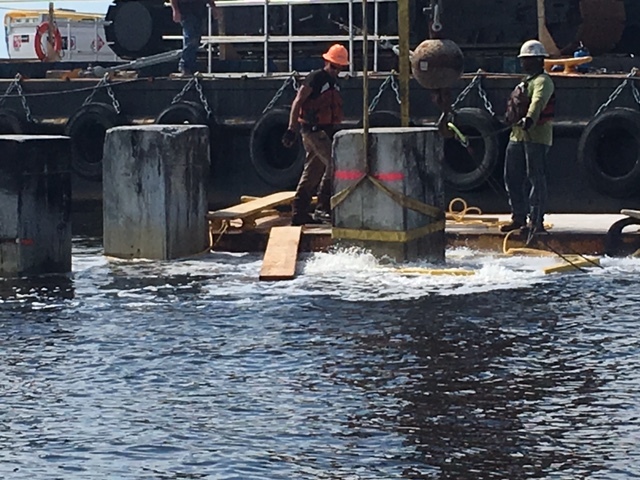 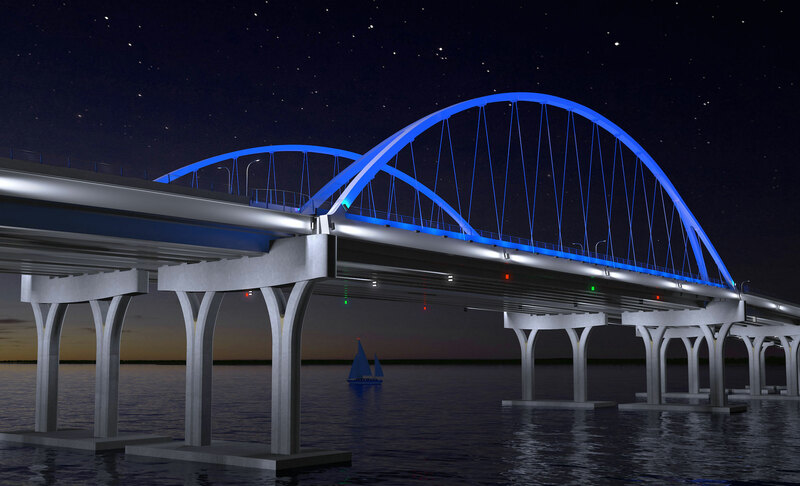 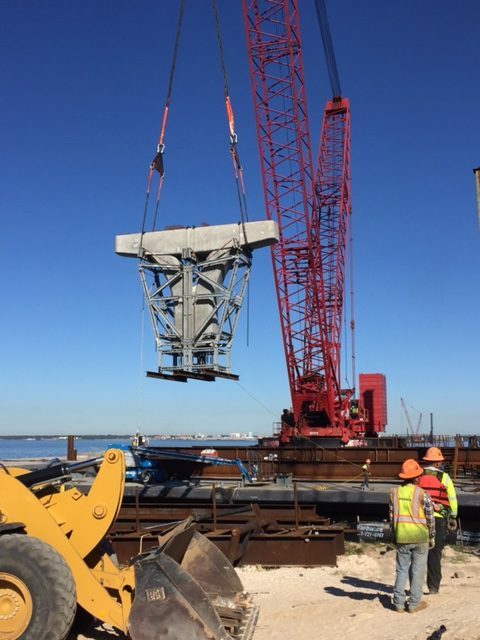 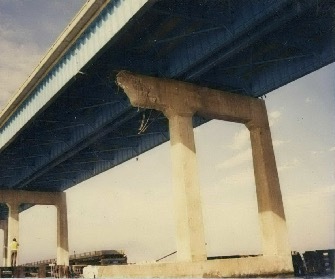 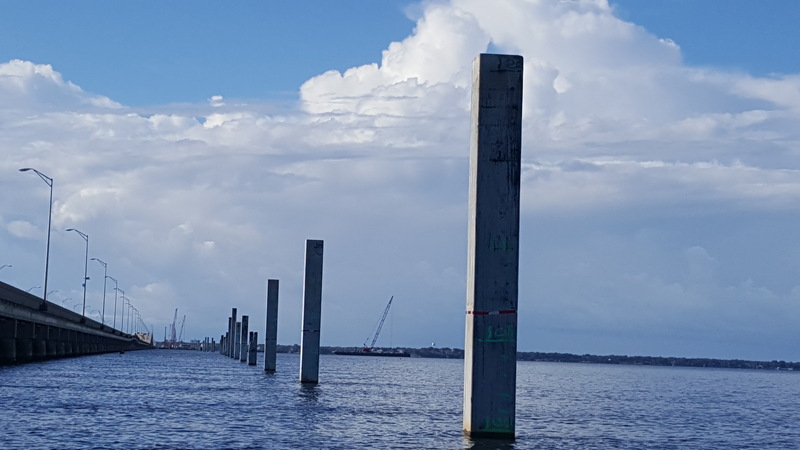 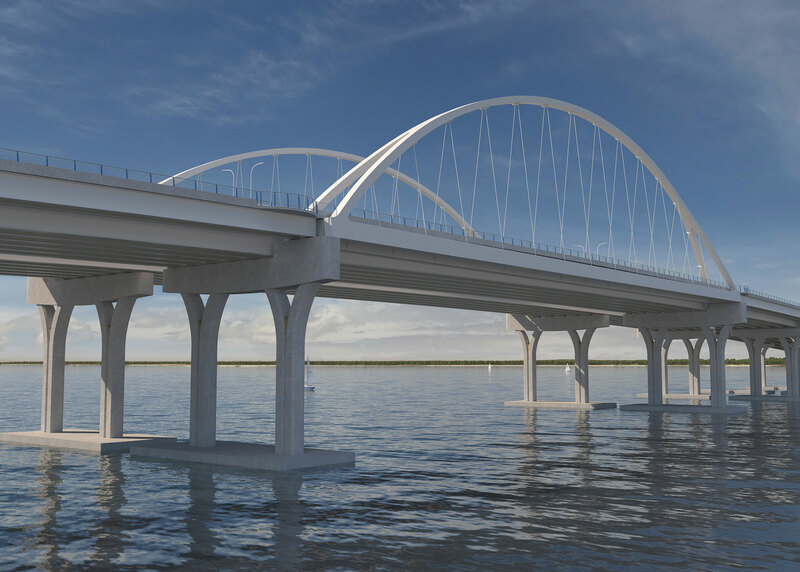 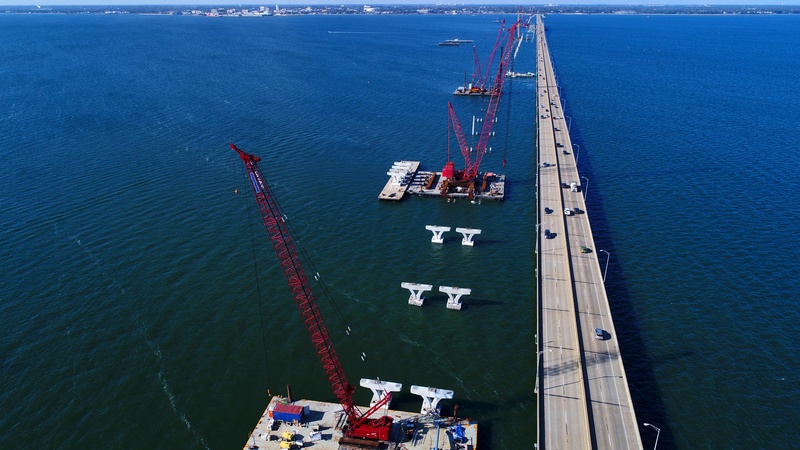 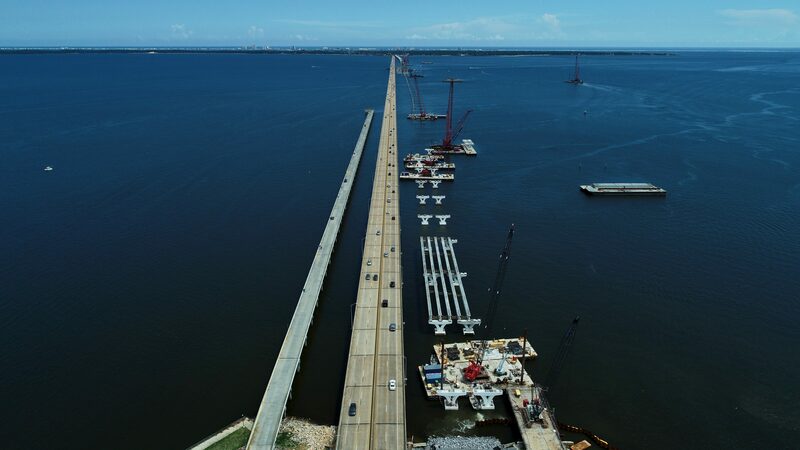 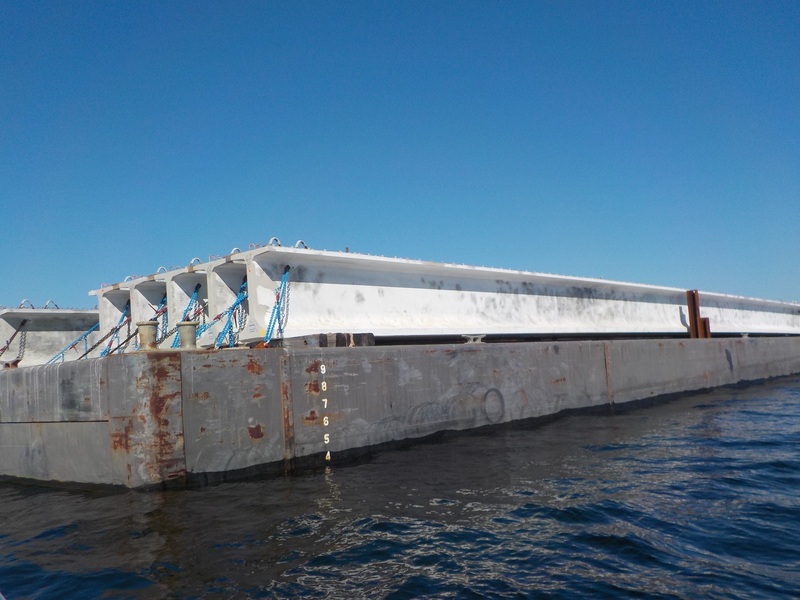 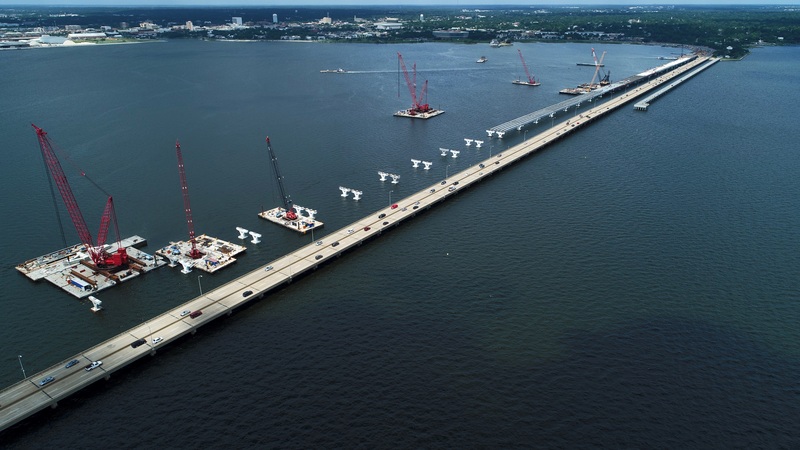 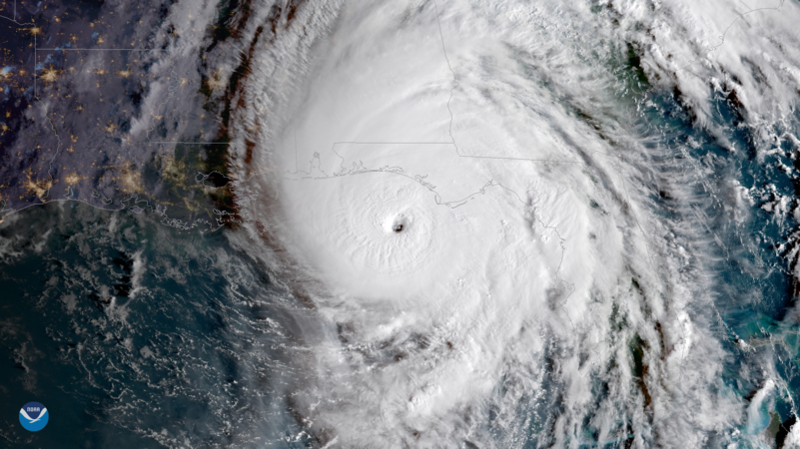 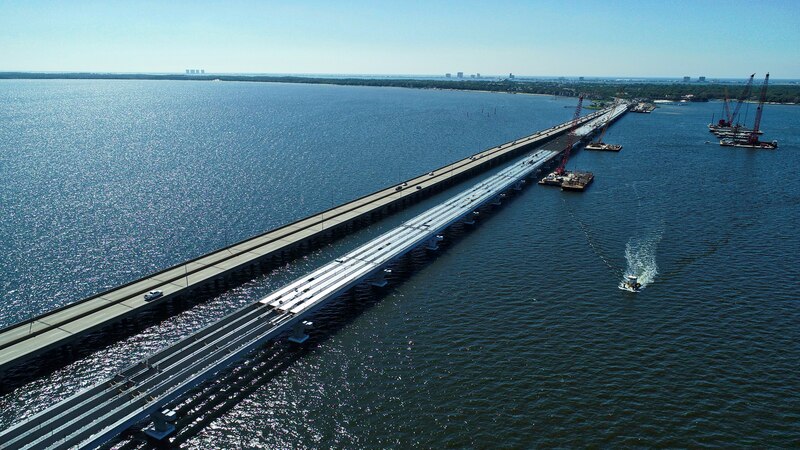 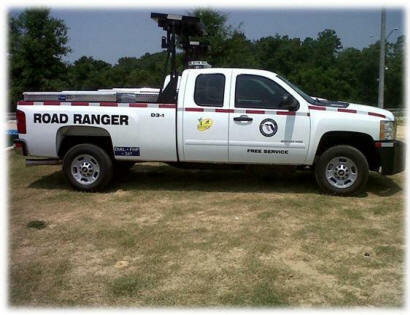 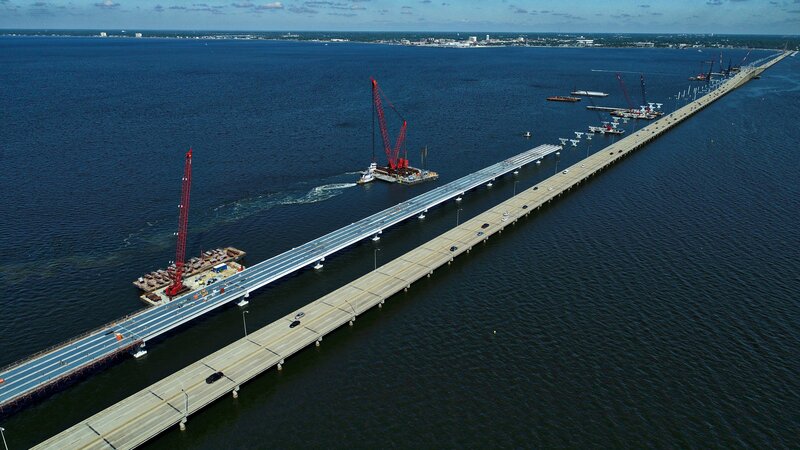 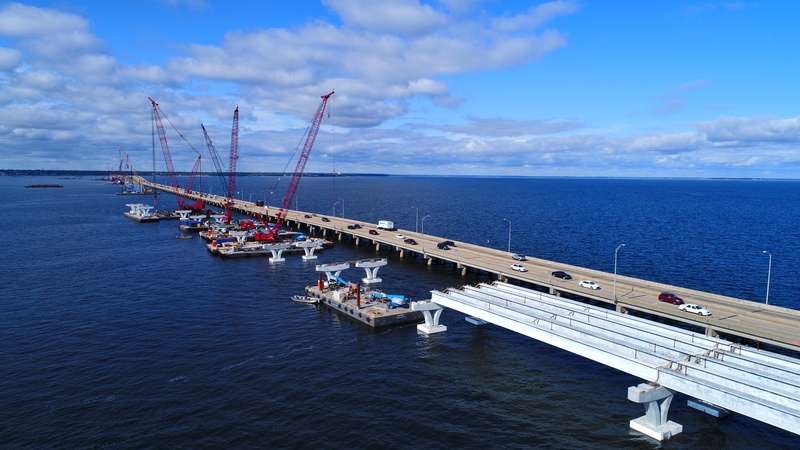 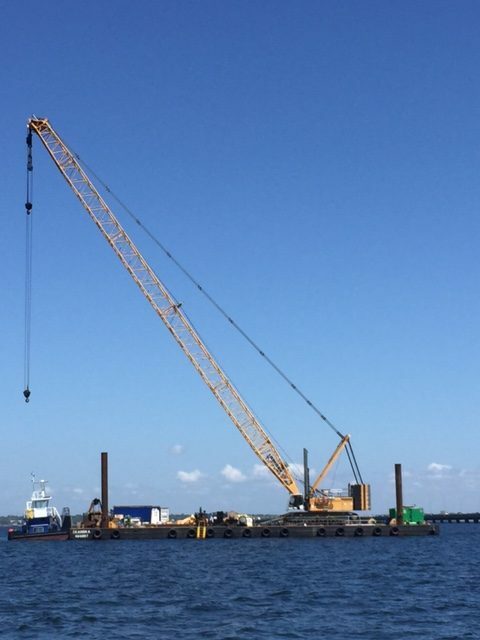 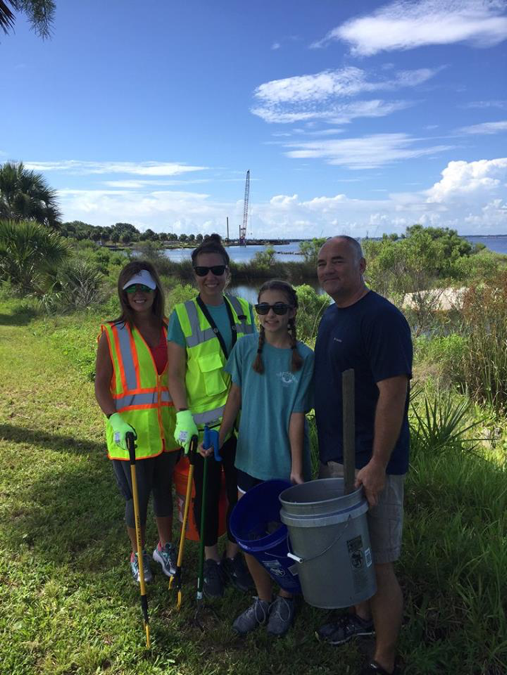 More than a thousand “Florida I-Beams” will be used to connect the trophy pieces horizontally and support the bridge deck. 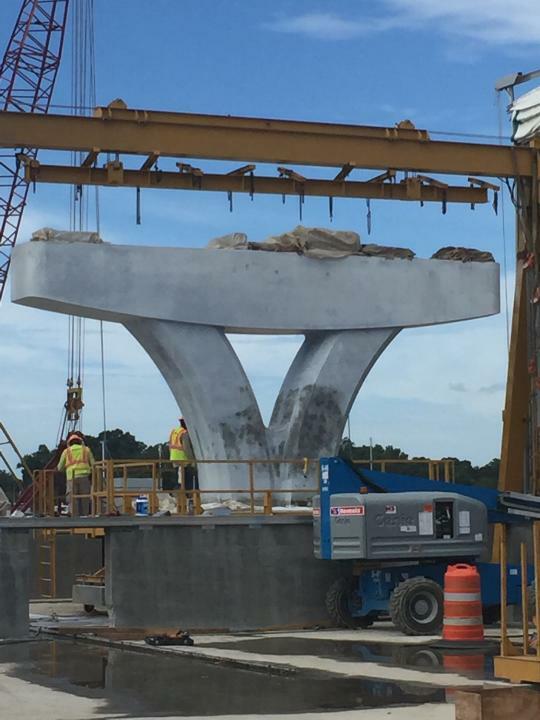 Like the other concrete construction components, the Florida I-Beams are being fabricated at the casting yard on Bayou Chico. 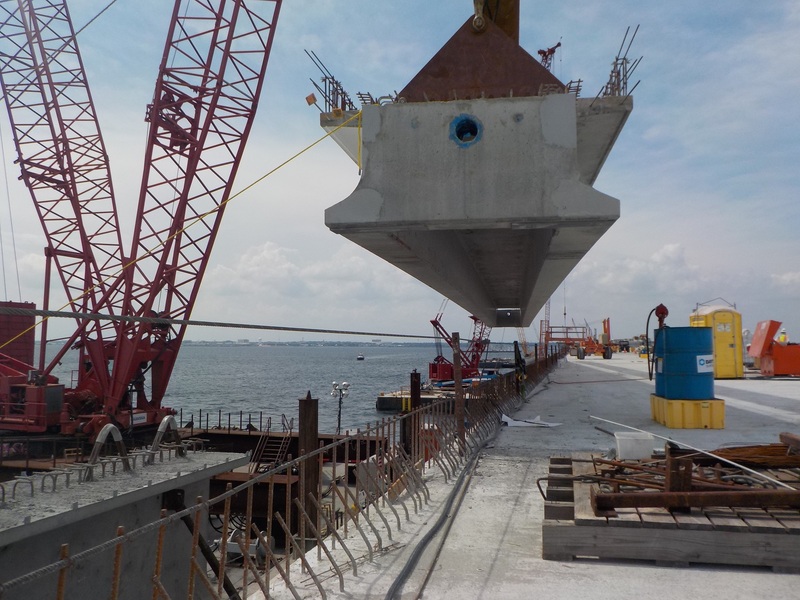 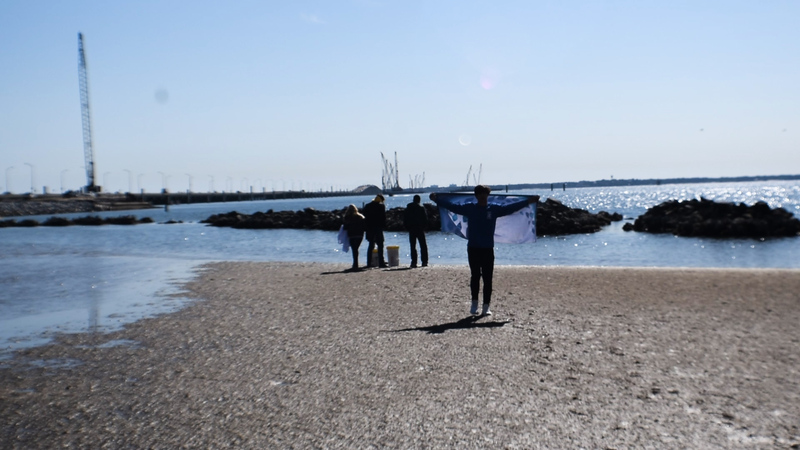 Once cast, they will be placed on barges and transported the short distance to the construction site. 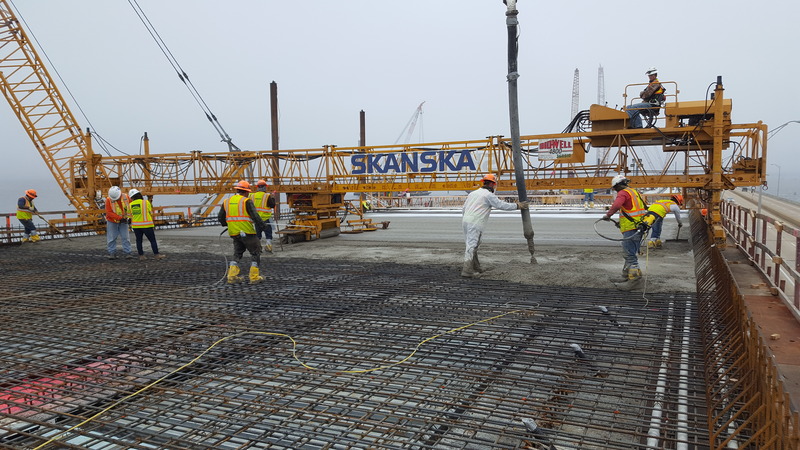 Cranes will then lift them into position with each end resting on a trophy piece. 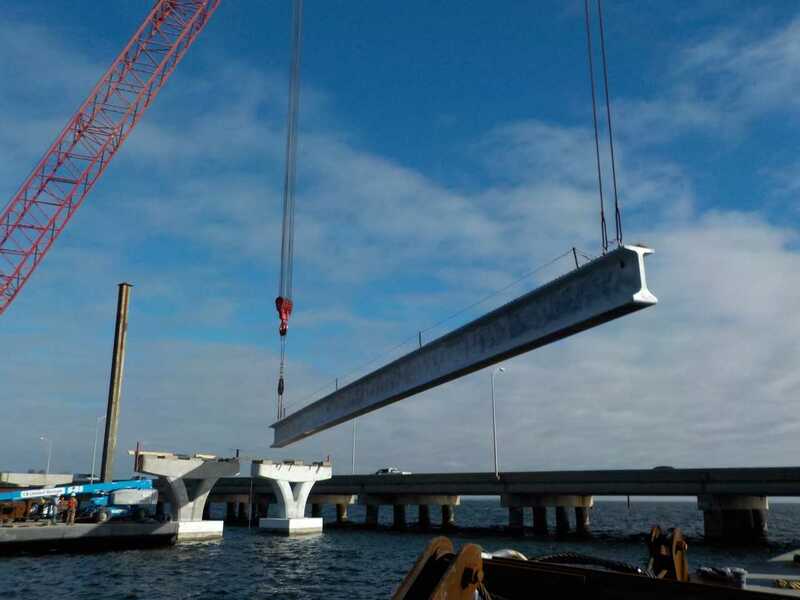 Each of these beams is approximately 150-feet long, and weighs about 166,000-pounds. 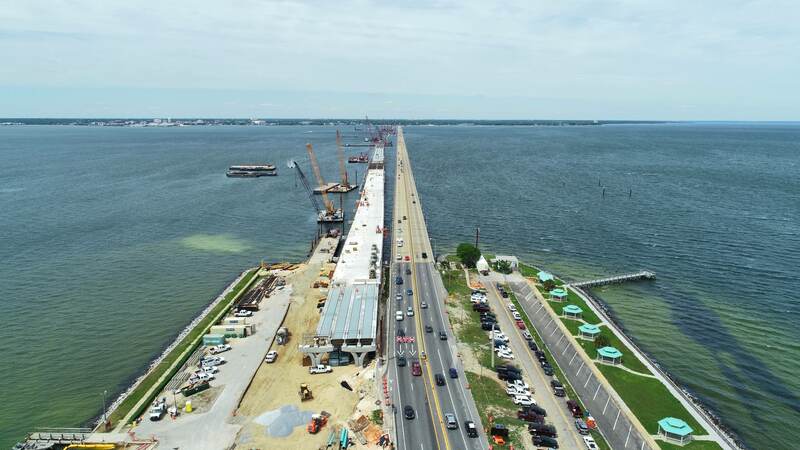 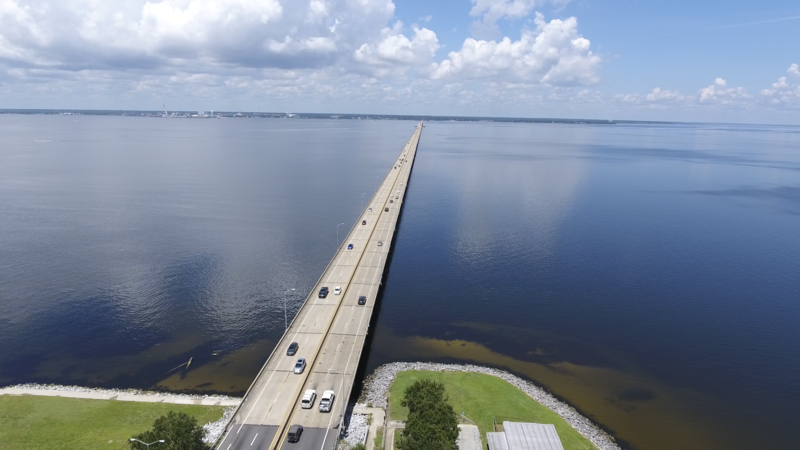 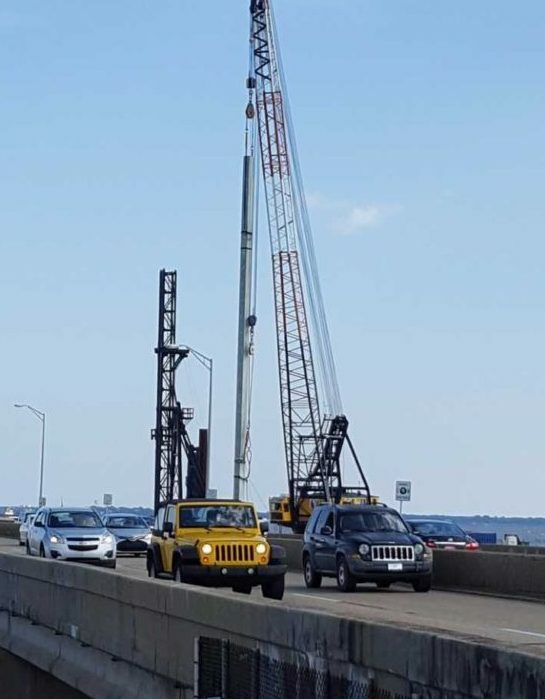 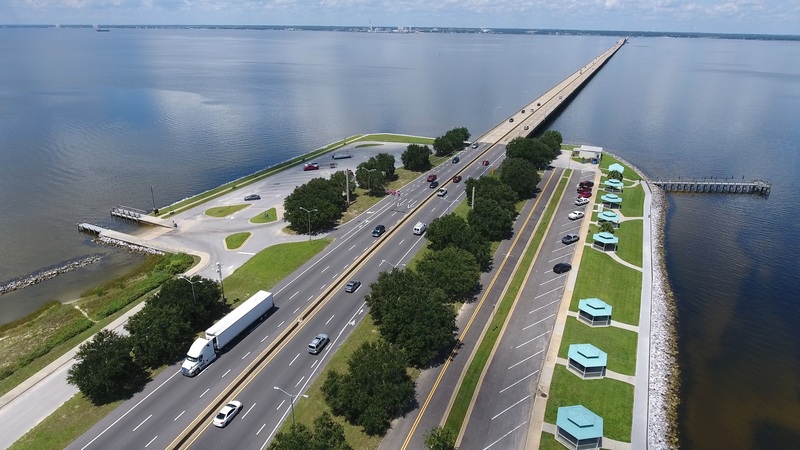 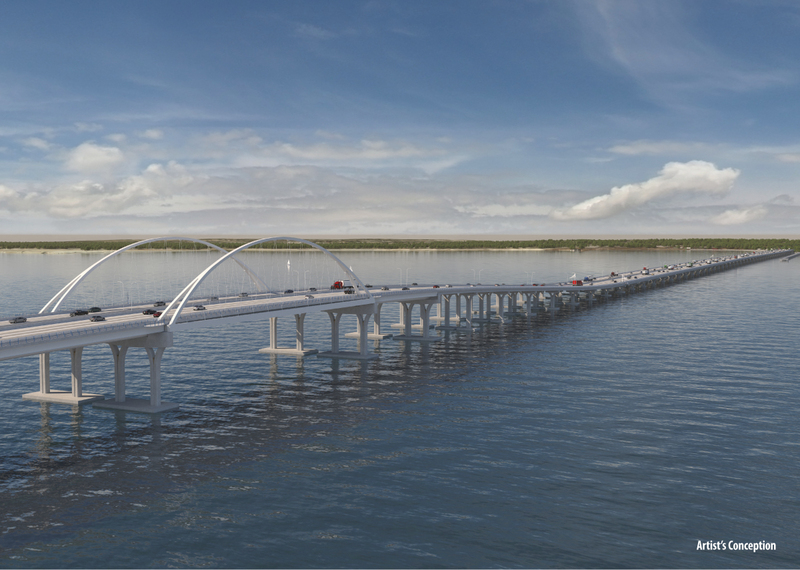 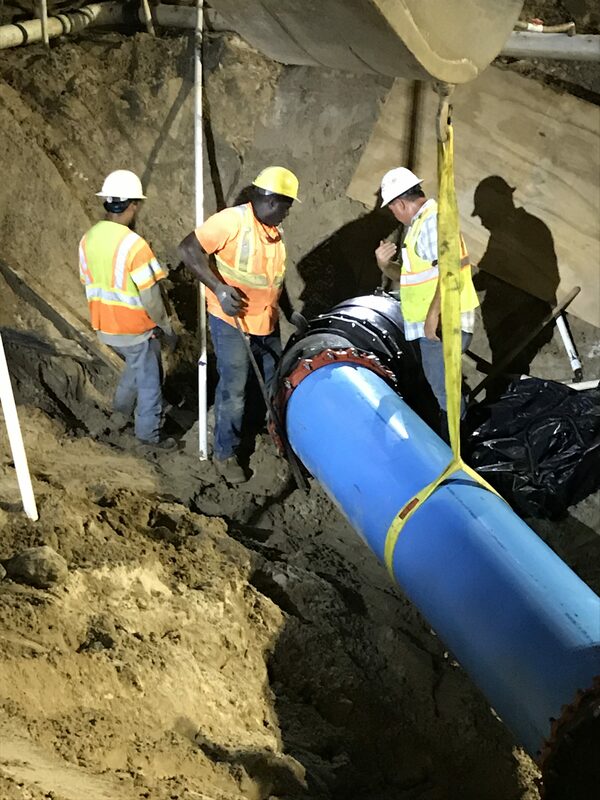 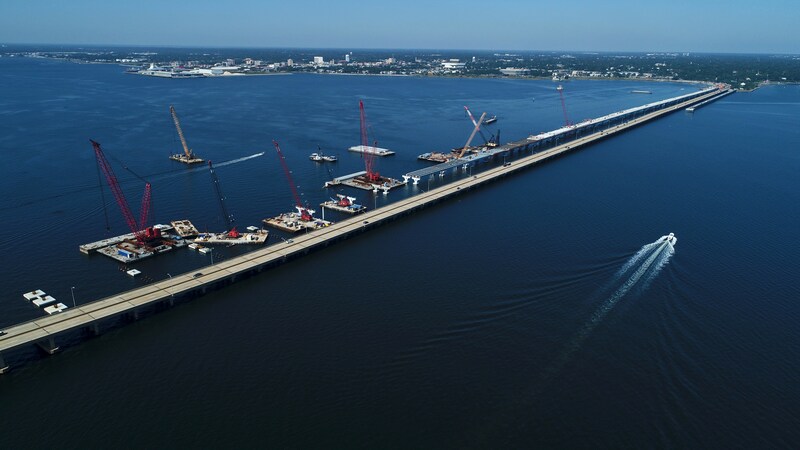 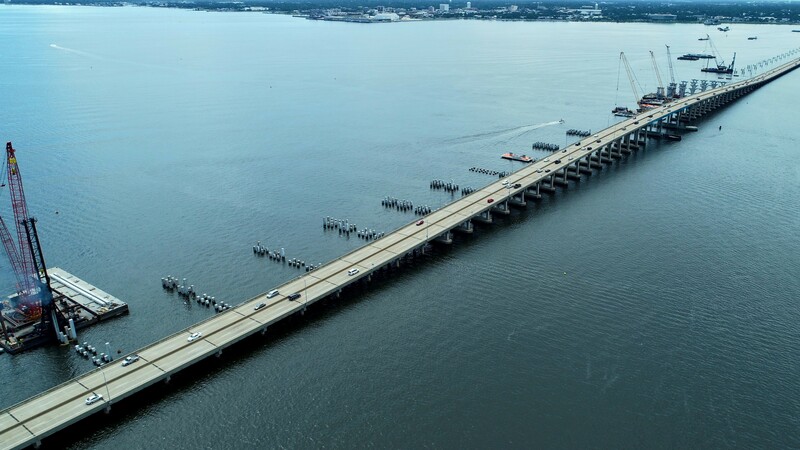 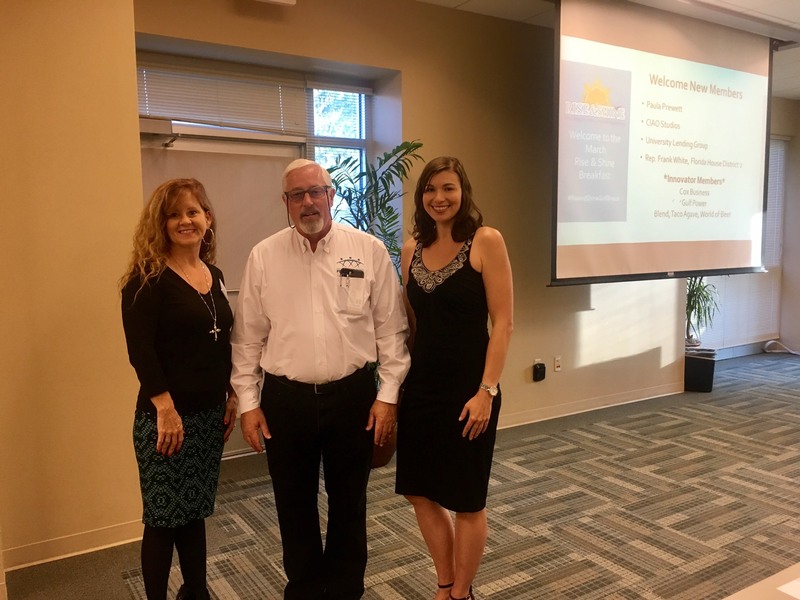 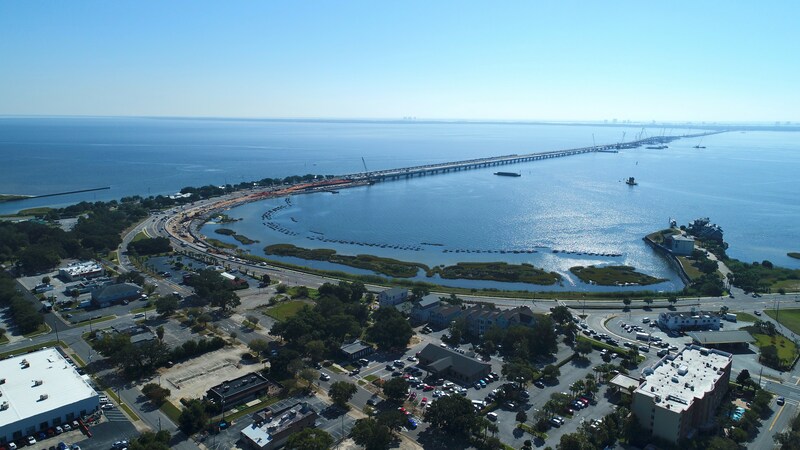 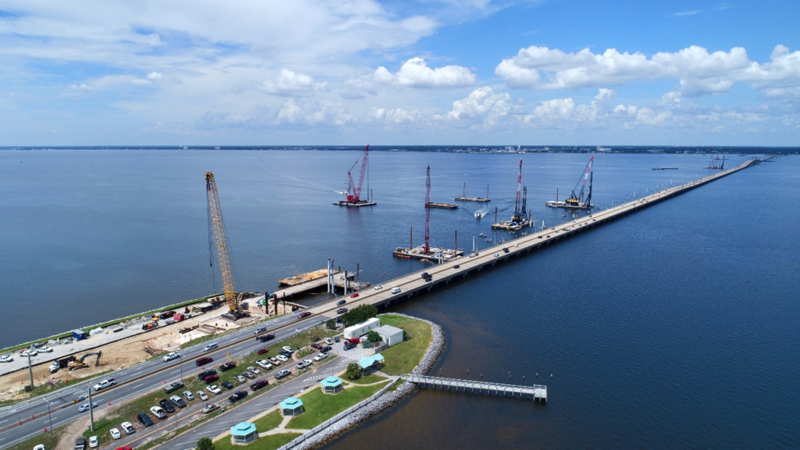 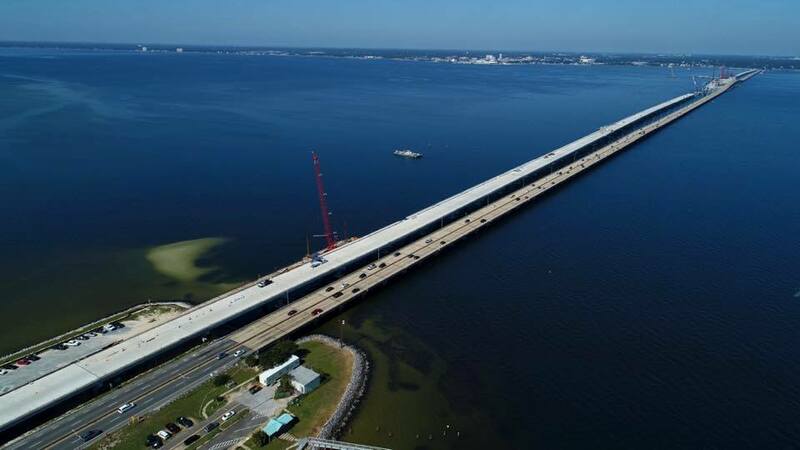 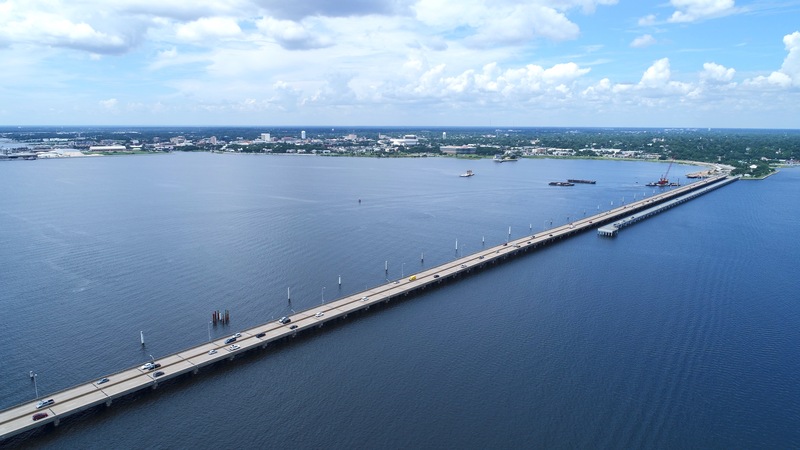 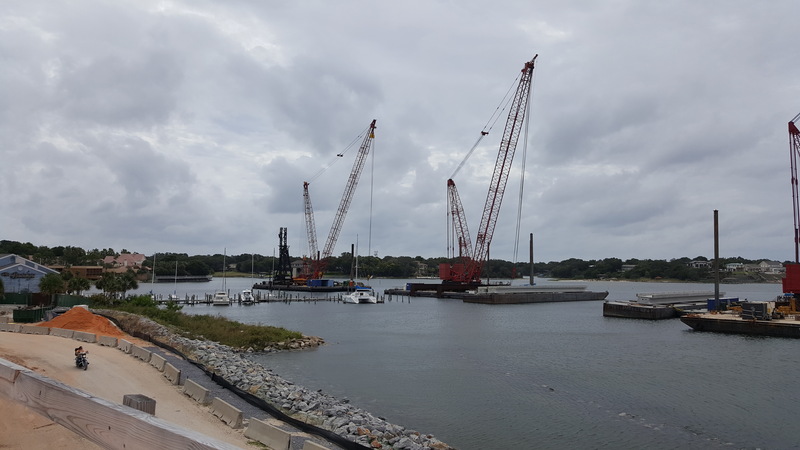 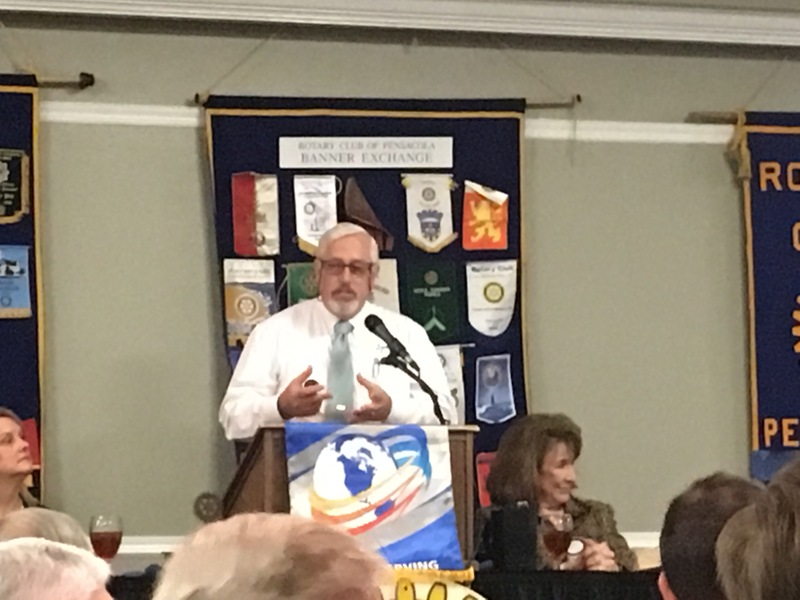 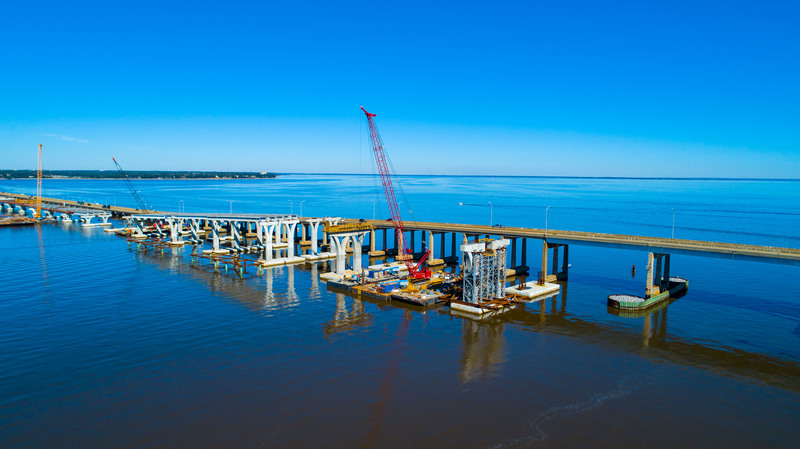 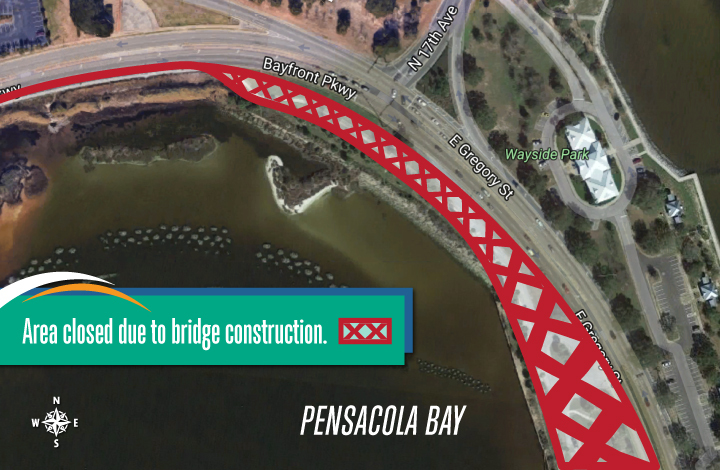 Work on the eventual eastbound bridge that will connect Pensacola to Gulf Breeze is scheduled for completion in early 2019. 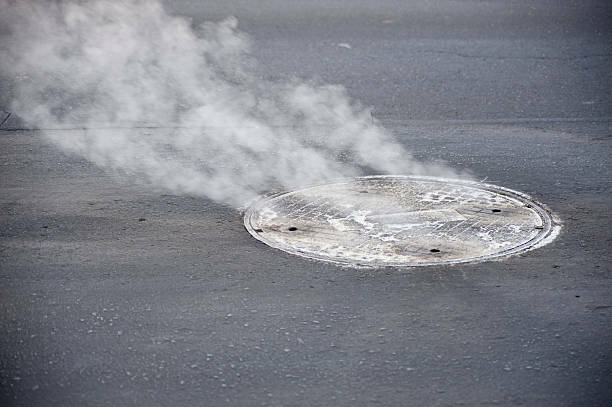 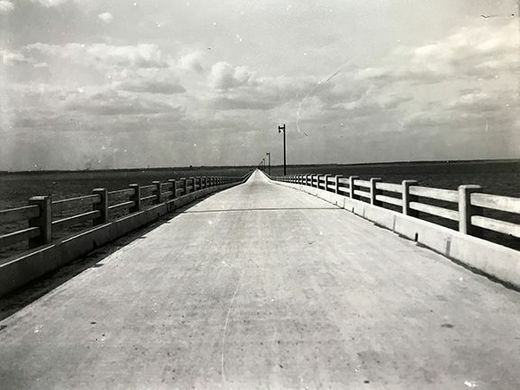 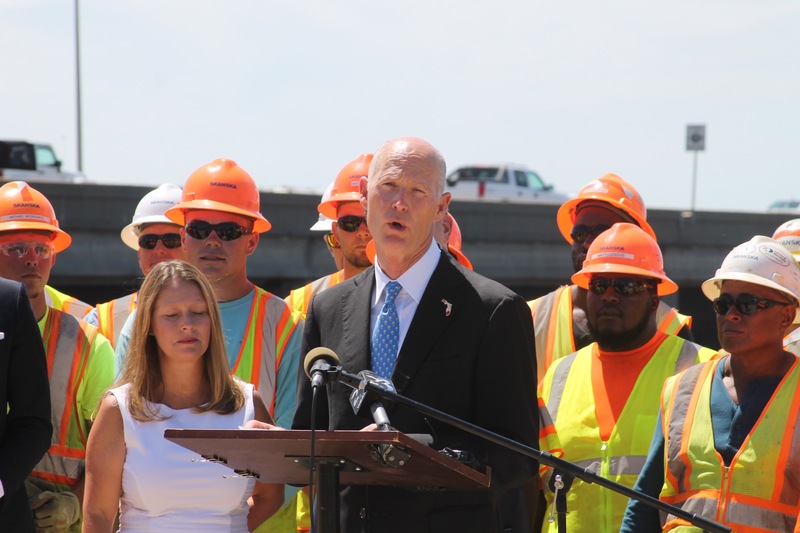 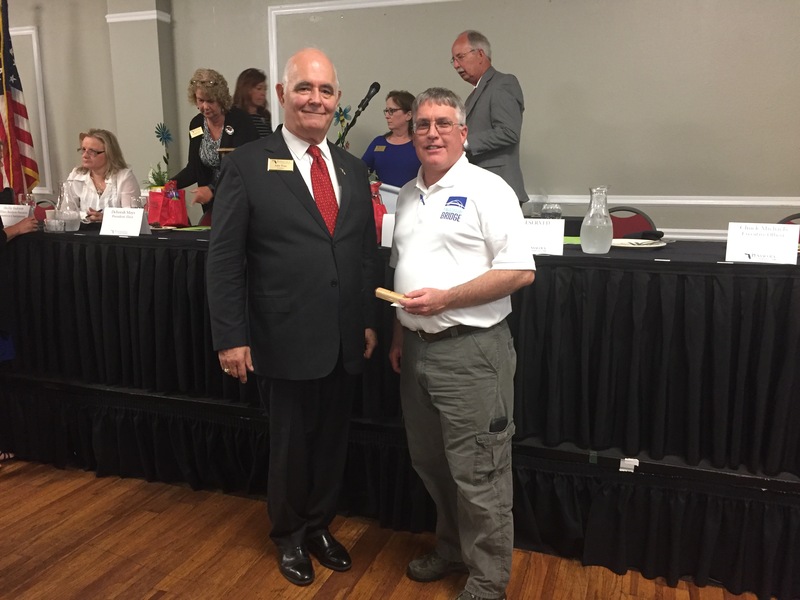 Completion of the westbound bridge is slated for summer 2020.